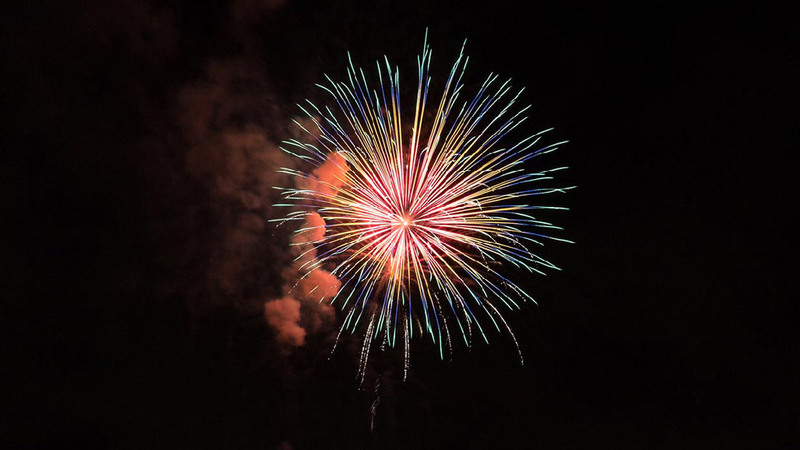 Bonfire night is one of the most exciting dates on the West Country autumn calendar, with fireworks displays lighting up the night sky from Banjo Pier in Looe to the Strawberry Fields of Lymington. But the ‘oohs and ahhs’ are lost on some of our bushier guests with the floppy and sensitive ears, who are often petrified by the whole ordeal. I am, of course, talking about our beloved doggy friends who are often completely freaked-out by the sudden onset of loud bangs, crackles and fizzes. If you’re down enjoying a stay in one of our many dog-friendly holiday cottages, here are five ways to help keep your four-legged friend calm on November 5th. Try to distract your anxious chum from the distant boom of fireworks by making sure the TV or radio is turned on to provide some familiar background noise. Food can be another helpful distraction; getting your dog to wait for and focus upon a regular supply of treats during the display can help lower anxiety levels, while rewarding calm behaviour can reinforce better habits. Make sure you remain calm and relaxed during the display, adopting a soothing and reassuring voice in your role as leader of the pack. Gentle rhythmic stroking can also lessen your dog’s nerves, coupled by a cheery manner and tone to help reinforce your positive signals. Make sure all the doors and windows in the house are closed and the curtains drawn to help reduce the noise from outside. Check that your dog’s water bowl is topped up as they can often get thirsty when anxious and tend to pant more than usual. You might also notice some excessive yawning which is another sign of doggy stress. Create a safe space for your dog, filled with its favourite toys and comfy bedding. If your waggy-tailed companion has hidden under the bed or behind the furniture, stay close at hand and offer gentle reassurance. If your dog decides to come out from its hiding place, make sure you respond to it with plenty of praise, comforting words and gestures. Never tell your dog off for its anxious behaviour as this will only intensify its distress. This might sound obvious, but panicky hounds have been known to follow their flight instinct and scarper if they see an open door. Make sure they’ve had an early walk and keep them safely indoors until they’ve calmed down completely, and the display is over: this might well follow a good night’s sleep when a sense of normality has returned.